Last edited by [email protected]; 05-22-2017 at 10:44 AM. PM a price on the X-pipe to 78247? Maybe even local install if I drive to you? What about combining the x pipes with the LT headers and mid pipes catless? the sound will be louder? does the xpipe in place of the resonator made more power? What long tubes are you thinking about getting? I know that there are a couple that WILL NOT work with the X-pipe. If everything does work, yes, it will be incredibly loud. The x-pipe helps with flow and sound. There is a very small amount of power made from it. Nothing major. Price for both the programmer and X pipe shipped to 92886. Does the X-pipe mate up to MBH long tube headers? PM me price of tune please. Price for both shipped to 30080. Price for both tune and x-pipe shipped to 90277? Thanks! Recently got the eurocharged tune V5 for my 2010 c63 . Huge difference in all modes. Driving in M should be called C for crazy mode lol.The gear changes are much more responsive. Interested in this. Can you please PM price shipped to 11361? Also, does the X-pipe serve as a replacement for both the secondary cats and resonator section? 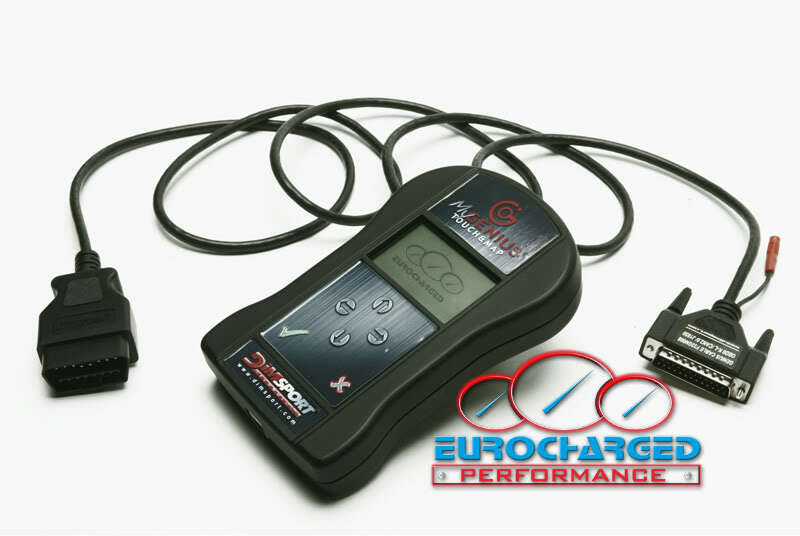 The Eurocharged Handheld programmer allows its user to flash his/her car without having to send in the ECU. The handheld also allows for easy storage of other files. Feeling like you need to go back to stock for a while, not a problem. Our handheld also holds the original stock file. That way you can flash back to stock whenever and where ever you need to. Our handheld comes with the device itself, OBDII cord and USB cord. You can always call us if you have any questions or concerns. Or leave a post. We do have some in stock and ready to ship. With each order we are sending out our new metal badges, giving your car a more professional look. The X-pipe will give your car a more wholesome sound. Not only that, but allows for better flow which equals better performance. 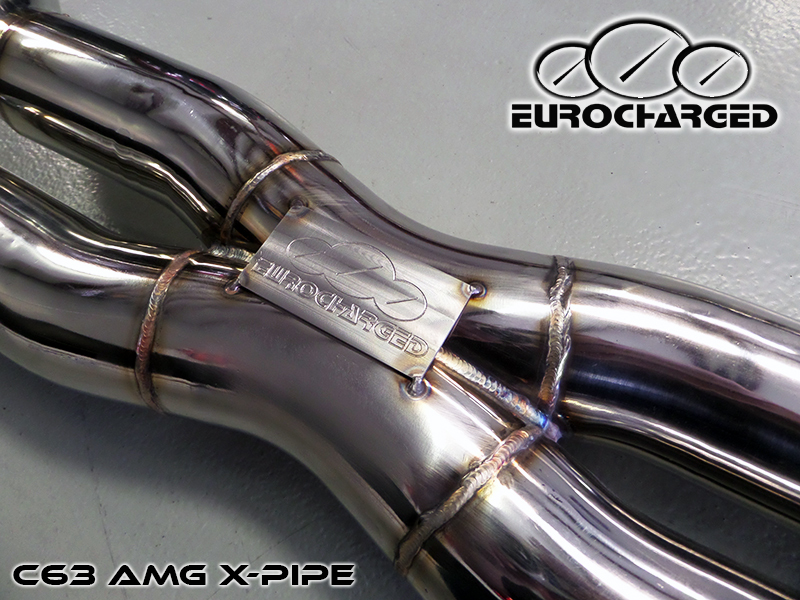 Each X-pipe is made from 304 16G stainless steel. They also come with a lifetime warranty! There is no need for making major modifications to the vehicle because our x-pipe is a direct bolt in fitment. If you have any questions about this product, go ahead and ask. We are having a sale on both items. Or, you can get them together for one low price. You can reach us at 713-462-1600, or post right here on the forum. One of our reps will get to you and be more than happy to help out. PM Sent! Also, the X-pipe only deletes the resonator. The secondary cats would stay intact. Im pretty sure you would be able to make us an awsome deal on a group buy for headers. Thanks for the feedback, unfortunately we cannot make a special price for them, we do not make the headers and cannot advertise below certain numbers. $2000 is not reasonable either, they all retail at about $3000 (The Agency Power headers we sell are $3000). If I did a group buy, what number would you be expecting and i'll see if I can get it approved with AP. Considering last june special was 3000$ for headers + v5 + handheld and the tune is 1200$usd on your site, im not sure 2000$ for headers alone is a deal! Where is everyone putting the metal badge (or suggested locations)? I am a recent V5 convert and a happy one.